What if you met the love of your life, your soulmate, and then he disappeared . . . just like that. Would you ever stop thinking of him? Stop wondering what happened? Almost two decades after Sarah met her one and only, she still feels the hole Eddie left in her heart, but she refuses to let go. It's exactly nineteen years since that luminous morning when we smiled and said good-bye. That we would see each other again was never in doubt, was it? It was a question of when, not if. In fact, it wasn't even a quesiton. The future might have seemed as insubstantial as the curled edge of a dream, but it unequivocally contained us both. Together. And yet it didn't. Even after all these years I find myself stunned by that. Circumstances: Just as Sarah's marriage is breaking up, she meets Eddie, and they have a whirlwind six-day romance. He leaves on a scheduled trip, promising to call from the airport, but Sarah never hears from him again. Closing in on her forties, she just can't forget Eddie, and in her heart she knows he has a good reason for disappearing. Will her perseverance pay off? Why I want to read this book: I like the opening and generally trust Pamela Dorman's taste in books. 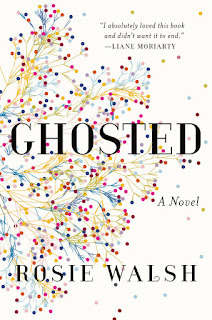 Kirkus says it will be good match for fans of JoJo Moyes (me!) and other reviewers have mentioned the emotional depth of Walsh's American debut novel. I could use some good escape reading, and this might fill the bill. 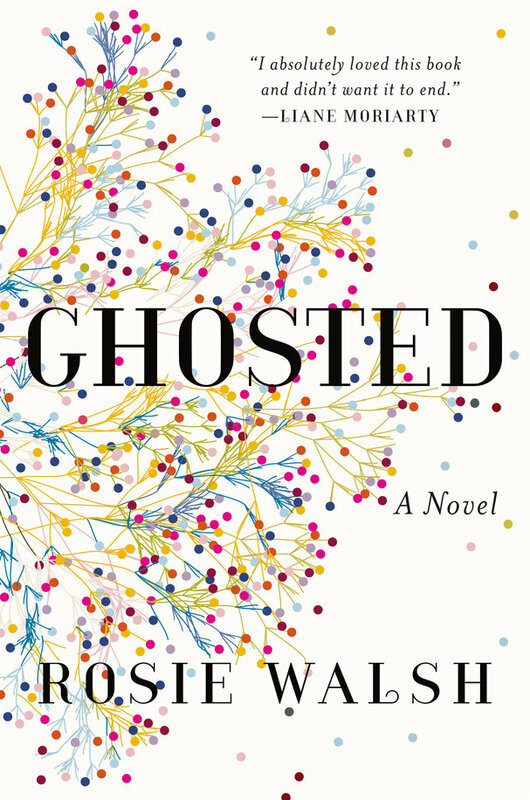 Ghosted also has a good rating on Goodreads. The flip side: I sometimes have trouble with romantic women's fiction, and some reviewers have mentioned the insta-love doesn't ring true. Others are bothered by the idea of a forty-year-old being unable to move past a week-long fling. And yet: I want to know what the secrets and connections are! Booklist gave it a starred review, and even Kirkus was gentle. Book of the Month Club picked it for a July selection. I'm giving it a try! Something to know: The UK title is The Man Who Didn't Call. This sounds like a good summer read, you have me intrigued. And I agree with you about Pamela Dorman- her books are always winners. I've been toying with reading this one. I have an ARC on my Kindle and after researching it for my BOTM post, the Goodreads reviews were great, but I have the same fears as you. Let me know what you think of it! This appeals to me... and yet I have the same reservations as you. Will be curious to hear what you think. It's an intriguing teaser. I don't really care about the instalove, but I do wonder what happened. I just got this and hope to get to it soon. My library has this on order and I put it on hold. It does make me curious, especially after reading your list. Hope it is as good as you think it will be. In spite of your "flip side" remarks, I still want to read this one! It sounds intriguing. the idea is intriguing and I'm even more curious after reading the list you gave.